Well, the Jamaica general election is over and the People’s National Party (PNP) will once again take the reins of government of Jamaica. It may be safe to say that whatever mandate Andrew Holness, was hoping to get as the leader of the Jamaica Labour Party (JLP) and prime minister for two months, has been dashed for now. Jamaica prime minister-elect, Portia Simpson Miller, flanked by party lieutenants Robert Pickersgill, and Peter Phillips during her acceptance speech, Thursday, Dec 29. We won’t be second-guessing Holness’s decision to call elections right after the Christmas holidays but he clearly was hoping to put his stamp on the party if he were to have been successful. Alas, it was not to be, and whether someone within the ranks of the JLP might choose to challenge his leadership remains to be seen. We know that a sizeable portion of the 1.6 million eligible voters did not turn out to vote and of those who did it seemed as if more committed Comrades did than Labourites. This should not have been too surprising as in response to stories in the Jamaica Gleaner newspaper online edition, a good number of folks had said they would not vote in this election as they felt their ballot would be a wasted, whichever party were to win. Is this a poor reflection on Andrew Holness’s leadership of the JLP? I’m not inclined to think so. Rather, I think this defeat of the JLP is the legacy left to Holness by Bruce Golding. Had Golding still been the JLP leader there is no guarantee, even in the election that was to have been held in 2012, that the JLP’s fortunes would have been any better. 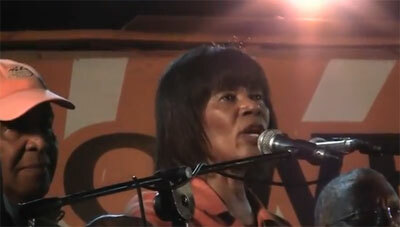 The JLP was done in by the same things that did in the PNP in 2007 – arrogance, hubris, the fact that they were seen as no different than the PNP in terms of being corrupt and scandalous, and by their actions in the Christopher ‘Dudus’ Coke/Manatt Phelps and Phillips (MPP) drugs and gangland extradition saga with the US government. Yes, they are likely to have been also done in by what now appears to have been a low voter turnout, as well. Dudus/MPP has been hanging over the JLP like a dark cloud since the Golding administration went to bat for the party affiliated gangster and they have never adequately and forthrightly addressed it, the same way the PNP has never fully addressed the Trafigura scandal in which the party or it functionaries pocketed millions of Jamaican dollars in graft from the Dutch trading company, and any number of scandals that plagued that party when it formed the gov’t for the 18+ yrs prior to the summer of 2007. It came to define the JLP perhaps unlike any one particular scandal has ever defined a party. The truth is that now that it’s known who will form the next government, things simply cannot be the way they were before. Jamaicans cannot and must not allow their collective intelligence to be insulted by its political leaders. The leaders’ collective feet must be held to the fire and we must call out crooked, criminal and corrupt behavior. There has to be a zero-tolerance approach to corruption and criminality by both the JLP and PNP. The country can no longer tolerate the agents and practitioners of criminality and corruption in any positions of power in government. When government personnel, including MPs and ministers, abuse the public trust and the public purse they must be held accountable and be dismissed not only from the government but from their parties. They must face criminal charges and Lady Justice and, if found guilty, be sent to jail and not be made eligible for a government pension. Jamaica has major issues that will not and cannot be fixed overnight but that must be attended to without delay and that attending to and fixing them will mean some tough and unpopular choices. In previous articles I have called for the three Rs that need to happen to the public sector: Reduce, Reform and Restructure and that is something it would appear that the IMF told Bruce Golding when he led the government and signed that US$1-billion agreement with them early 2010. Nothing is going to change now that the PNP will form the government. We don’t know if the Chinese will make changes to the the Jamaica Development Infrastructure Programme (JDIP) following the financial scandal and corruption under the JLP. As for the PNP’s much-touted (Jamaica Emergency Employment Programme) JEEP, it better not be some programme to reward supporters at the expense of others. Jamaicans, regardless of their political leanings have identified fixing the economy as the major issue facing the government and that will still be the case when the PNP takes over come January 2012. With the advent of social media and blogging on the websites of Gleaner, the Jamaica Observer and in publications like Abeng News, more Jamaicans than ever, on the sialnd and its diaspora, are letting their voices be heard that they are sick and tired of the nonsense that for too long has come to define a government and governance in Jamaica. One can only hope that now that the PNP has been once more given the chance to form the next government that they won’t squander the opportunity to do right by Jamaica. At the end of the day, this will not be a PNP government but rather the Government of Jamaica headed by the PNP. It’s the same way Barack Obama is not a Black president but the President of the US who just happens to be an African-American. When you form the government, you are answerable not just to your supporters but to all Jamaicans, all nearly 2.8 million of them. Portia Simpson-Miller and company should not ever forget this. The country will continue in its usual ramshackle way until the electorate demands changes to the political and constitutional structure and not focus on this or that party.